Probably I am the most unqualified person to write about Eve Marson’s “Dr. 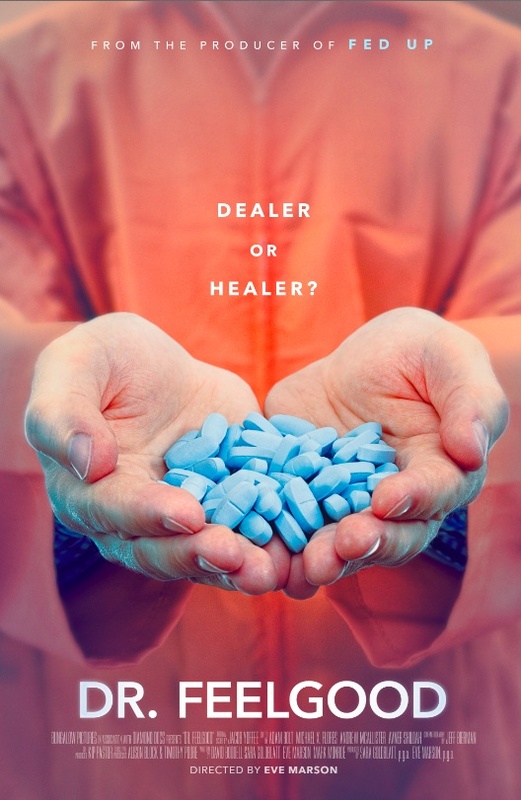 Feelgood: Dealer or Healer?” or just the right individual, only time will tell. Regardless, that fact won’t reduce or increase the impact of the film that it had on me so greatly, I can barely find proper words to describe. Indeed, this film gives a shocking look into the life of prescribed painkillers, people who got addicted to it, and a doctor – who out of goodness or for any other reason had given them the green light to silently accompany the most horrifying and uncomfortable feeling of chronic pain. The opening of Eve Marson’s film states that 1 of 3 Americans suffers from chronic pain, and that number, I should note, is crazy enough to be disregarded. It also states that the prescription opioids kill more Americans every year, more than HIV or the homicide records could have accomplished combined. But then, when you are introduced into a background story of painkillers, Dr. William Hurwitz and his patients, you will start asking yourself, “do we really need bureaucracy when the life of a single person is at stake? When pain is the only obstacle between relief and death? Being afraid not to give much away from the highly important documentary film, you will have to know one thing before you start watching it: try to refrain from becoming a judge, but be just a spectator in order to grasp everything Dr. William Hurwitz or his patients have to offer you. You will have a wild ride starting with the era when drugs have finally been started to be considered as a dangerous weapon that can kill without pulling a trigger, and as the only way to escape endless chronic pain. As the title of the film suggests, you will be left alone to decide whether Doctor Hurwitz is the one who gives satisfaction and help that every doctor should provide. The healer or a criminal, whose intention was just helping people in an urgent need, it’s something I doubt any of us could have answered that difficult question. But whatever it is, you will certainly take some interesting facts with you from Eve Marson’s movie. It’s, in a way, an eye opening, brutally straightforward movie with the power to eliminate the gap that could have been filled with doubt and underestimation. But when it comes to underestimation, chronic pain, desire to die just not to feel the pain itself, Dr. Hurwitz will appear as a person with a ticket in his hand to end the lives of those who want to take the magical pill. It is just a matter of control… if one only could…. Below you can find the links where you can stream the film online.